Since this is the second time packing a hosptial bag, I am hoping I have gotten better at it. There was defnitely so many items I packed last time that never even came out of my bag. It really all depends on how you will feel after giving birth. The first time, I packed so many cute baby outfits thinking I would dress her up and take tons of pictures, but I was just in too much pain. I didn't even leave the recovery room, which I regret now because I should have walked around more. These are the items I have narrowed it down to for this time. You may want to use your favorite skin and hair care products while in the hospital. Its keeps you feeling normal. For me, I also wanted my makeup with me. After my shower, it felt good to put on a simple makeup and lipstick. I always feel better when I am wearing lipstick. Besides, with all the visitors and pictures you will be taking, its nice to get dolled up even if just minimally. Last time, I wore the hospital gown for most of my stay or my robe that wasn't a maternity robe. I realized it was not the most comfortable attire for me when I had visitors. This time, I packed my Fishers Finery nightgown that has a built in maternity bra. This will make it easier to nurse. 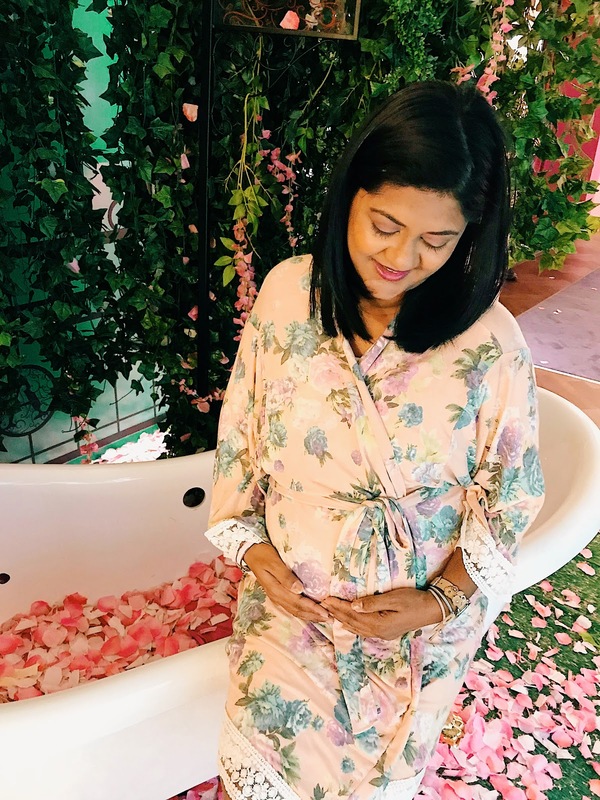 I also have my Pink Blush maternity robe that is very soft and comfortable. This will be nice to wear while trying to walk around after giving birth this time. You will need these. I received a few pairs from Brief Transitions and they already look like they will be a life savor. The hospital supplies you with them as well but these are more durable and light. You will have a lot going on down there and the last thing you want to worry about is your underwear. 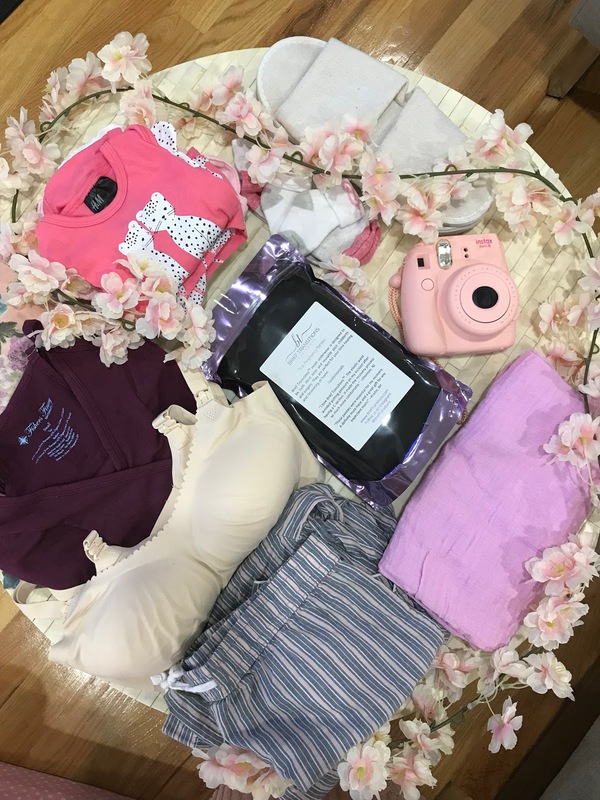 I didn't need to pack extras since my nightgown had one built in but in case you do not have that, nursing bras make breastfeeding more accessible than your regular bras. I packed one just in case. You don't want to walk around the hospital bare foot and lets not talk about the shower! It can get chilly in hospitals and I know I will be happy to have a pair of socks on while I sleep. I wore the outfit that I planned to go home in to the hospital when I checked in last time. Although I don't know when this baby is coming, I packed a separate outfit just in case. I know I will be going into a hospital gown right away but it is a good idea to have an extra outfit packed regardless. It will be cold when I do give birth, so I kept it simple with leggings that will fit over the bump since you still have some size to you and a chunky sweater. You are going to want to keep everyone up to date on the birth of your baby so this is a must and the charger will save you from going crazy. You will need to have a photo ID and any necessary insurance or hospital paperwork. Last time, my girlfriend brought her instant camera and we have a great picture of the three of us from that day. I want to have this ready to take another similar picture of us to put in the memory book. The towels you are given in the hospital are so small and flimsy. I regret not taking one last time. After you've given birth and take a shower, you will want to wrap up in a cozy and large towel to make you feel better. I am packing two outfits with hat and socks for the little one to come home in. Since we will be coming home in the cold, I have packed a blanket to keep her warm when we head out to the car. Also, it can double as a cute wrap to take pictures of her in at the hospital. This is essential to go home. The hospital won't let you leave with your baby if you don't have one. Safety is key!